1. In a glass measuring cup, heat the almond milk for 30 seconds in the microwave or until warm. Stir in chai and mix until combined. 2. 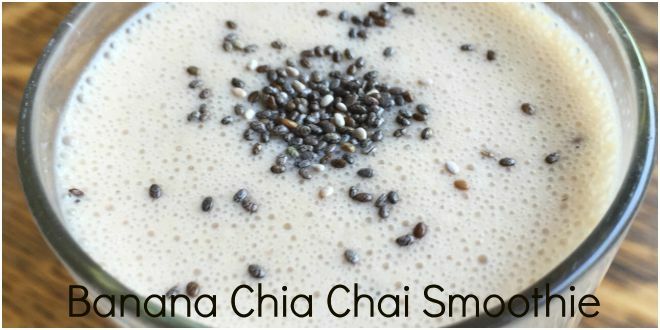 Dump the chai milk along with the other ingredients into a blender and mix until smooth. Stir in chia seeds. 3. Pour into two or three glasses and drink up!